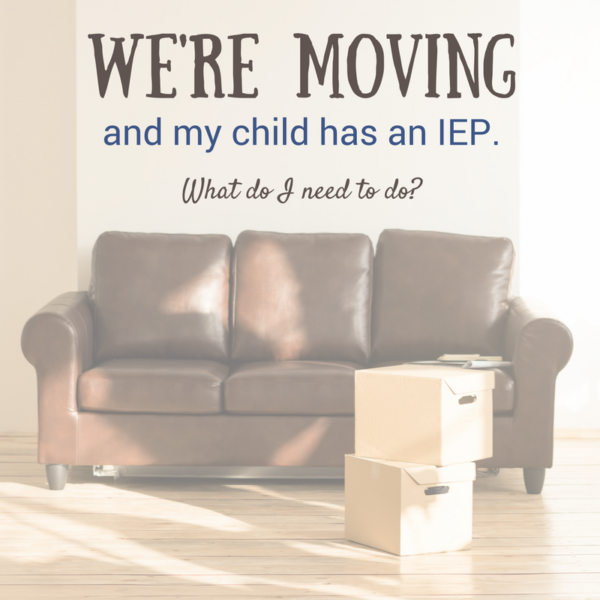 Home » IEP Advice for Parents » What parents need to know about moving and an IEP. Just because a child moves, does not mean that their needs have changed. Got it? Families move. It happens. Jobs, marriage, divorce, lots of reasons. If anything, a child’s areas of need would increase, not decrease, during a household move. Family moves. Enrolls in new district. New district takes a few weeks to get to know child, then does a re-eval. Re-eval and new IEP, more often than not, has less supports and services than the IEP they came with. Sound familiar? I can sense a lot of nodding heads. In my mind, if what has worked at the previous school district was working and allowing the child to make meaningful progress, there is no reason to change it. Consider using picture books and social stories about moving to help your child adjust. Moving is both scary and stressful. Choosing a new house and a new school district can be scary, especially if you need Special Ed services. Still, I have heard some horror stories about some of the “best” school districts in my state. So take each opinion with a grain of salt, as they say. Read as much as you can online to see if you can get a picture of what the district looks like. 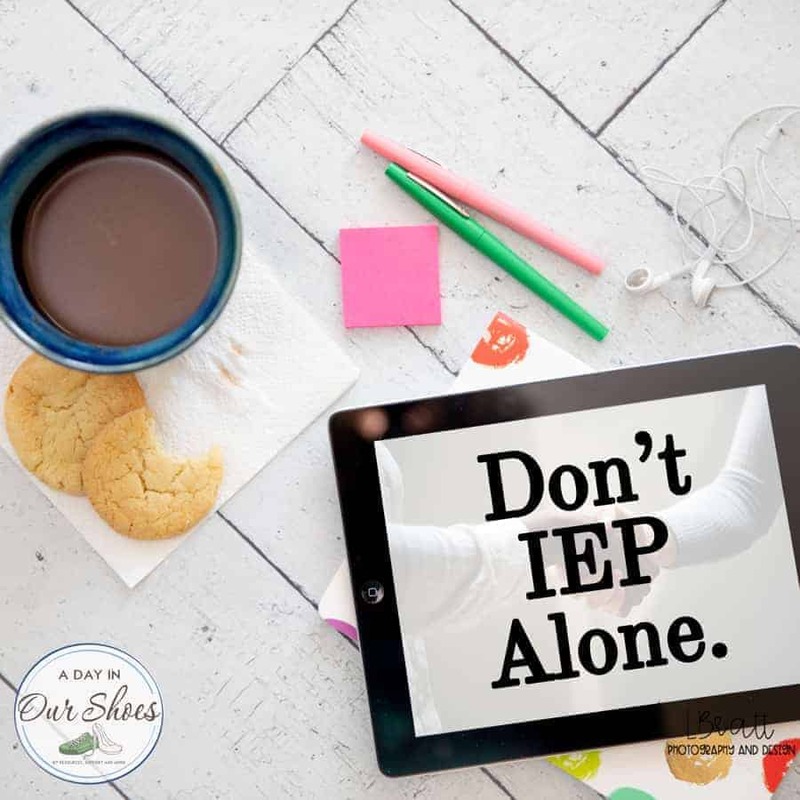 Tips for making your IEP and moving transition easier. Remember that your child’s needs have not changed. The same child who lived in NY is the same kid who is moving to Wyoming. The environment changed, your child did not. There is no “We don’t do that here.” Yes, yes you do. If it is what the child needs. They may need more supports in dealing with change, transition and a new environment. Talk with their current home and school team and ask their advice on their area of expertise. I would do a full FERPA request so that you have it all to take with you. You very likely will be told, “Oh no worries, we’ll send all the records to the new school.” Up to you if that is satisfactory. It is your right to request and receive them. Allow them to express to you how they feel and what they need with no judgment. Each state does have a Protecting and Advocacy group for Disabilities, so you may want to familiarize yourself with them before moving. You can call them and see if they recommend any parent groups or where they send parents who need IEP help and educational advocates. If you belong to a Facebook group that is national, ask if anyone is from that region. Visit schools, take a look around. Do internet searches for Facebook groups and other parent groups and see what they have to say (again, with a grain of salt!). From my experience, when a child moves, the new school district follows the same IEP for anywhere from 30-60 days. That gives the child a chance to settle in to the new school. Then, they usually (again, my experience) do a whole new re-evaluation and take it from there. You should also read up on pendency and stay-put, if there is disagreement with your new district. The pendency clause should protect the child if you disagree until it’s settled but you need to understand how it works. If your child is in an out of district placement or an APS, or in a placement that is significantly outside of usual accommodations and pull-out or push-in services, I would call and arrange a meeting with the Special Ed Director as soon as you choose your home. Introduce yourself, explain your situation and tell them that you want to bring your child in before the fall so that he can see the new building. Keep things positive and cordial right from the get-go. This is also a good time to set the stage from the beginning. If you haven’t done so, do your child’s Vision Statement. Then your new district knows from the start what your vision is for your child. I have had divorced parents as clients, in neighboring districts…and the child switched custody. It wasn’t usually a problem as far as maintaining and implementing his IEP, he merely struggled with the transition. I’ve also had a similar situation with a child in an APS, divorced parents lived in neighboring districts. Child was able to stay in APS after he moved to new district. Once your child is settled in and they are doing a re-eval, make sure you take full advantage of the rights that parents have, such as your list of parental concerns and so on. States certainly have their specific regs and quirks, but basically it should be the same. IDEA is a federal regulation, so not too much in your IEP process should change.